The Brother 1034DX is a 3/4 Thread Serger with differential feed that delivers professional edge finishing o a wide range of fabrics. You can serger knits, linens, pajama bottoms, etc create ruffles, decorative edges, gathers plus more. It is versatile, meaning it can work with 3 or 4 threads, giving you a wide array of combinations. 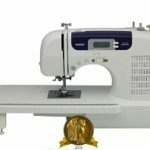 Read Best Computerized Sewing Machine 2018. As an example you can use 2 needles with 4 threads for strong overlock seam on wovens or use 1 needle with 3 threads for overlock stitching on knits, formal wear, etc. On top of that you can get more done in the shortest space of time because it make up to 1,300 stitches per minute. For more information on the Brother 1034DX, click here! Of the many positive reviews are happy with what this machine is doing as a serger because being a 3/4 thread overlock you get great results with knots and upholstery fabric. You can use 3-thread overlock which comes in two widths for general use. You can roll hems beautifully with this serger machine, especially the hems of napkins, pajama bottoms, etc. You can also use flatlock stitch to decorate or flatten seams. Also read Brother CS6000i Sewing Machine. These are the many options you have with the Brother 1034DX serger. Though this Brother Serger machine enjoys over 92% of positive reviews there is room for improvement as some users have pointed out. 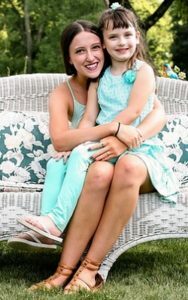 However, the blame is not only on the machine some faults or issues come about because a user would not take time to read through the instructions. When something does not go according to plan it can cause some frustration though some of these frustrations can be easily avoided by taking time to read the manual and other instructional materials that come with the machine. One user also suggested testing any serging on scrap fabric similar to the material you want to overlock. 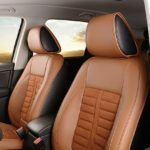 If you want to buy the Brother 1034DX, Amazon.com should be your first stop. 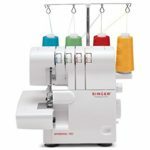 You will not only have over 3K reviews to learn more about the serger machine, you will also find over 590 Questions and Answers about the Brother 1034DX. 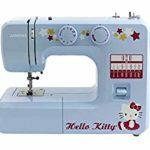 When you buy a serger machine, Amazon will also be normally cheaper than any where else plus it comes with FREE shipping. This is a serger machine that costs under $300, you might find that it costs more elsewhere especially that it is a higher model to Brother 1034D. The Brother 1034D costs a little less than $200.